It’s a doggie lifeguard to the rescue! 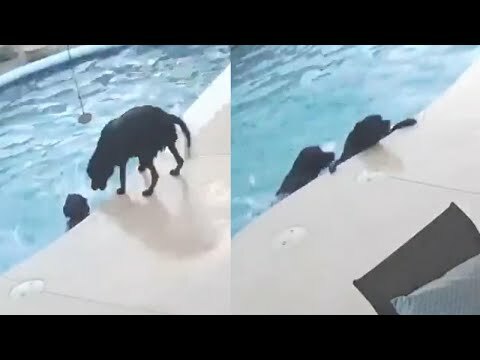 Video shows a dog named Remus try to help his buddy Smokey, also a dog, who fell into a pool in Arizona and couldn’t get out. Remus paced back and forth as Smokey got more distressed. Then Remus jumped in and nudged his pal with his snout to boost him out of the pool. That’s what we call a helping paw! After More White House Leaks, Fed-Up Trump Has Brutal Warning For The Culprits.